OLD PARKED CARS. 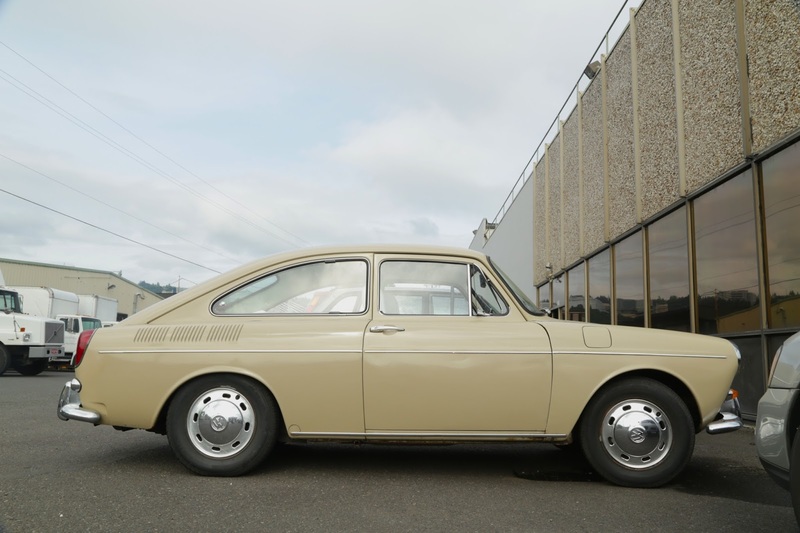 : 1969 Volkswagen Fastback. My cousins uncle had one of these, but it was blue. 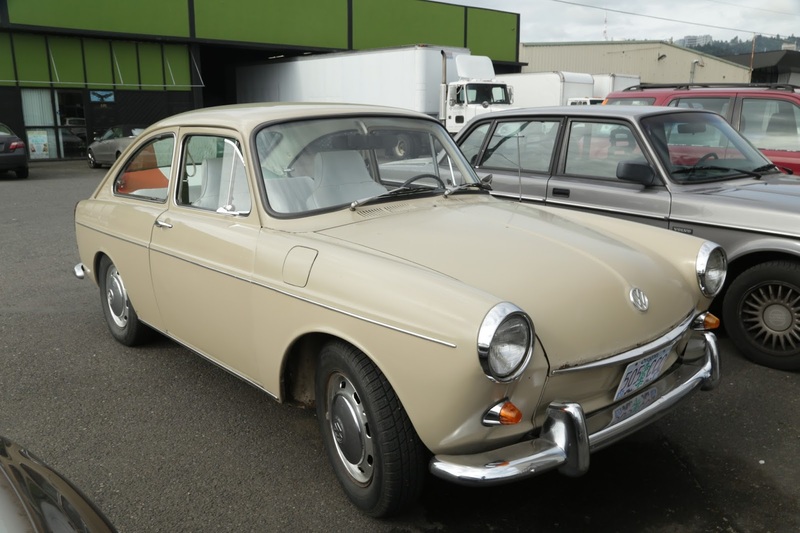 And a 4-door. And a turbo 6 cylinder. And Chevy medallions. Otherwise, identical. He told me I was privileged to see it just before he threw me in the trunk and dropped me off in the middle of the dessert. There is no water in the dessert. I had to eat cactus and lizards. Has anyone seen my watch? Im sure i left it in the bathroom. My bathroom has two toilets. I only use one at a time. Ill be back in 2 hours to comment further. Must be a full moon out where anonymous lives. 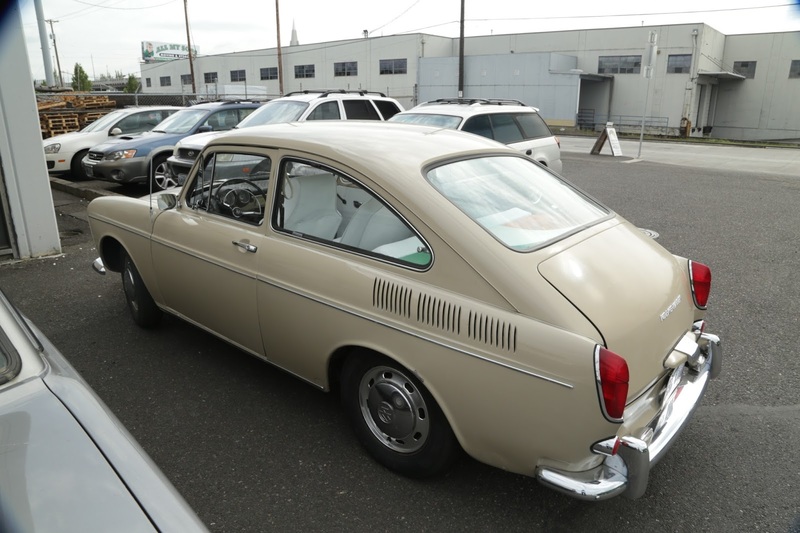 Good looking Fastback - sort of the beginning f a downward slide period for VW but still a worthy vehicle. One of my highschool teachers had one of these! His was Red with a Black interior. We had one of these when I was in high school. Bought in Washington, made the trip to Idaho, drove there for four years, and on to Iowa. Fin car, and even in the mid-70s, unusual enough to be different.